At Coburg High School, we’ve always believed that digital technology serves a crucial role in the classroom, to transform student learning and allow for deeper and richer educational experiences. We have been an Apple Distinguished School for our effective and innovative use of technology, and we make a conscious effort to incorporate our academic curriculum with the tools and technologies that young students are familiar with. Make notes and records; organise information for later access and use. Search for information; learn important research skills. Create multimedia and produce movies, music, podcasts and digital art. Write and edit material in a range of genres, sequence a digital story. Index and arrange a database; extract, graph and apply data. Set goals and monitor progress towards goals. Make calculations, carry out virtual experiments and examine phenomena. Write code and develop apps and software of their own. Discuss topics in forums, moderate discussions or debates, hold webinars and video conferences. Develop public speaking skills; create compelling presentations. Generate hypotheses, undertake inquiries and research, and conduct online surveys. Build and maintain a positive online presence and identity. Since its earliest days, Coburg High School has always believed that Apple creates the most powerful, capable, reliable and easy-to-use hardware and software in the industry. The MacBook line of notebooks remain simple to set up, contain powerful built-in apps and perform reliably for significantly longer on average than a typical PC. They offer extensive Accessibility options for students who may require visual, auditory or motor accomodations, and they don’t need anti-virus software. Support for Apple products is just as good — there are multiple Apple Store locations in Melbourne that offer free advice and support alongside in- and out-of-warranty repair services, and their AppleCare help line is always available to call. There are also a number of Apple Authorised Service Providers in Melbourne that offer similar services. Simply put: Apple notebooks remain the best tools to deliver cutting-edge, innovative learning experiences to a classroom. Many of the Apple-only applications we use, such as iMovie, GarageBand and Keynote, are used because there is simply no equivalent elsewhere in the industry. But the Mac also allows all the standard software you would expect, such as Microsoft Office 365, the Adobe Creative Cloud suite and Google apps such as Google Docs and Google Drive. 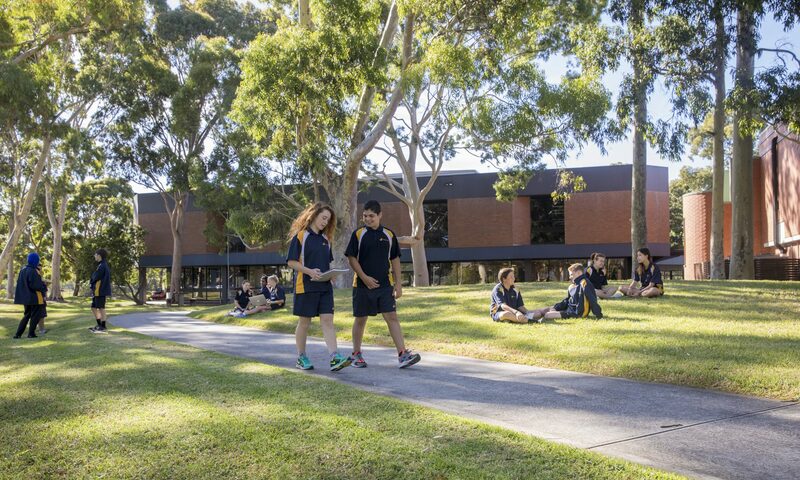 At Coburg High School, we have thoughtfully selected the software we use in order to maximise student outcomes, and we continue to adapt and reassess our digital approach in line with the latest research, developments and student/parent feedback. For a copy of our school IT policy, click here. Students are responsible for protecting their electronic property. This includes storing them in a locker when not using them, and marking computers/chargers with identifiers. We recommend that everyone has Apple Care enabled for their MacBook and independent insurance. The school encourages students to spend recess and lunchtime outdoors and off of their computers. Sometimes however we have screen-permissible days, and this includes when there is a wet weather timetable. The students’ computers are their own, and as such they are free to have downloaded content on them. They cannot however use the school’s wi-fi to download excessive content, nor can they play games/watch videos etc that are inappropriate. This includes games with violent themes. In the minutes before classes start, students are expected to be ‘ready to learn’. This does not mean finishing games etc. Compass is our school-wide Student & Learning Management System. All families have a log-in, and from the Compass Portal you can check attendance, download and upload learning and assessment tasks, make payments for camps, excursions, school fees and more, keep up to date with school events and news, message teachers and school leaders, book Student-Led Conferences and download Student Progress Reports. Click here to access Compass. Our Wikis are designed to enable students, parents and teachers to collaborate and to enable ubiquitous access to curriculum. Every subject and every student has a series of Apple Wiki pages on our servers. Parents can see the actual learning tasks and resources that their child is undertaking. Parents are invited into the Wiki of their child to view the work, support the thinking around a response to a task, and to assist their child to meet timelines. Click here to access the Wikis.